On court temperatures today at Rod Laver Arena are 120 degrees. Perhaps that explains Maria Sharapova’s bodgy performance and stunning loss to China’s Li Na. At nearly 31 years old. 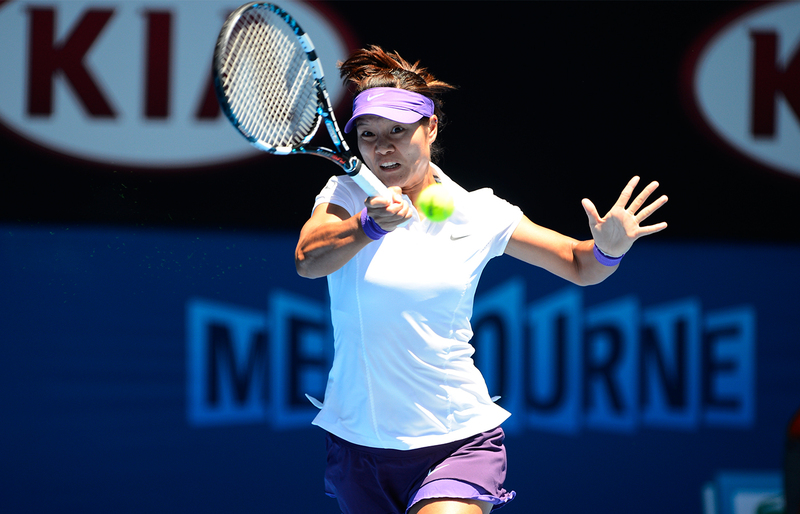 Li Na will now be facing her second Australian Open Final since 2011. She will face reigning queen Victoria(ous) Azarenka who beat US teen phenom Sloane Stephens. No one may have been more gobsmacked than Sloane herself as she beat idol Serena Williams yesterday in one of the biggest upsets of the Australian Open 2013. Despite Serena’s ankle and back injuries, she played on and when interviewed afterward, said she thought about retiring the match momentarily. She was more upset when she thought the reporter was asking if she was ready to retire her career however. She was quick and decisive with her answer. The drama on the sheila’s side doesn’t overshadow the bloke’s semi finals however, and we’ll be awaiting the Djokovic/Ferrer match up next, but will there be any gobsmacking surprises there? Entry filed under: Uncategorized. Tags: australian open, djokovic, ferrer, li na, Maria Sharapova, sloane stephens, victoria azarenka.